Last year I created a new garden which is our last and final garden. I held a garden contest to name it and you can view the original post here. Paula came up with the creative name "Bishop's Delight". This is a picture of the garden this year. 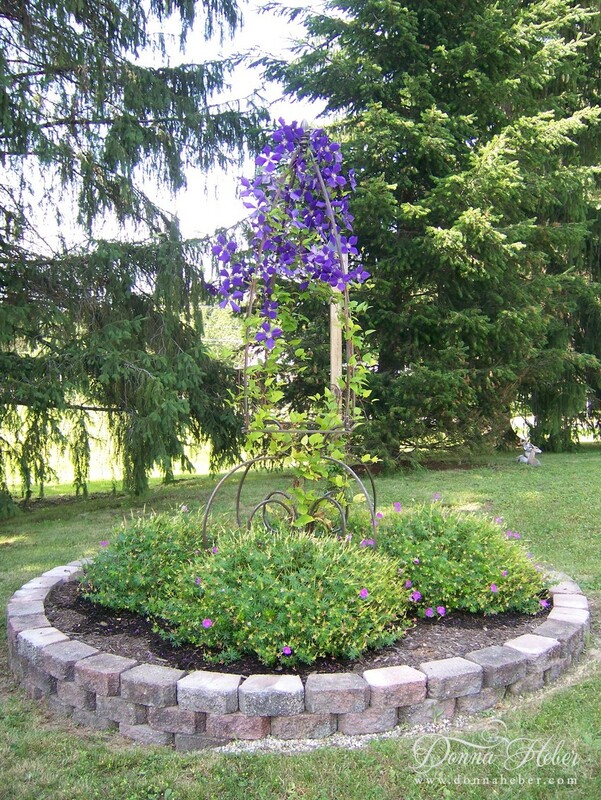 The "New Hampshire Purple" geraniums have really filled out and the "Jackmanii" clematis vines have grown to the top of the trellis. This garden sits in front of a birdhouse so the birds have something to enjoy! Thank you for visiting and for all your lovely comments. 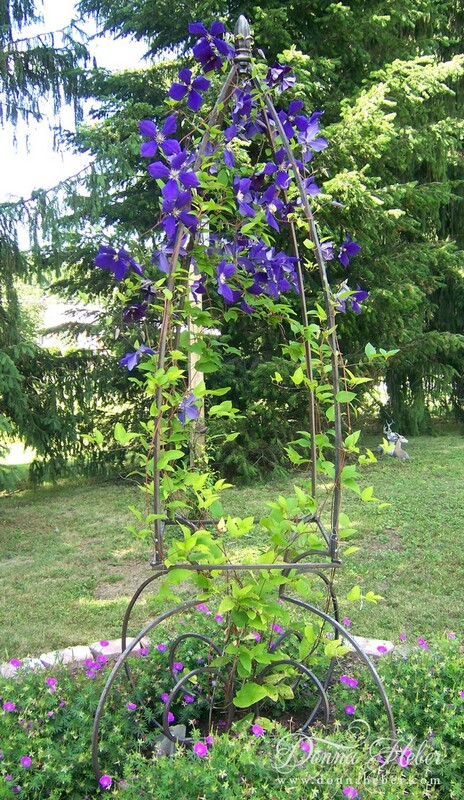 Your "Jackmanii" clematis vines are such a beautiful color.. I will have to go back to see what zone you live in.. my plants never come back the next year, even tho I'm in zone 9.. it's just too hot and swampie for such delicate flowers? Beautiful garden you have created! Very pretty and the Clematis color is beautiful. Donna Lovely garden.... sure this is your last garden? Beautiful! I love the bold color! Love, love, love the Clematis!!!! Absolutely gorgeous!!! Thank you for linking up! 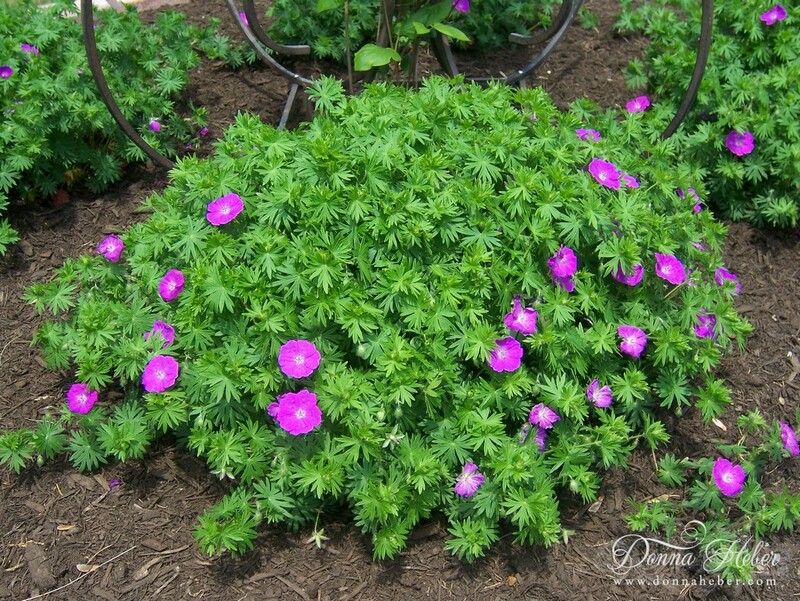 Your clematis is beautiful and I love the wild geraniums! Thanks for commenting on my blog At the Compound. Enjoyed meeting you! I just love your garden pictures, and all your others too. You must have a gorgeous, serene home! Beautiful garden!I love the clematis! What a pretty garden this is. Love those purple flowers. Very pretty, your clematis is stunning! Someone has spent many hours loving and tending that garden. Have a great day and thanks for sharing. 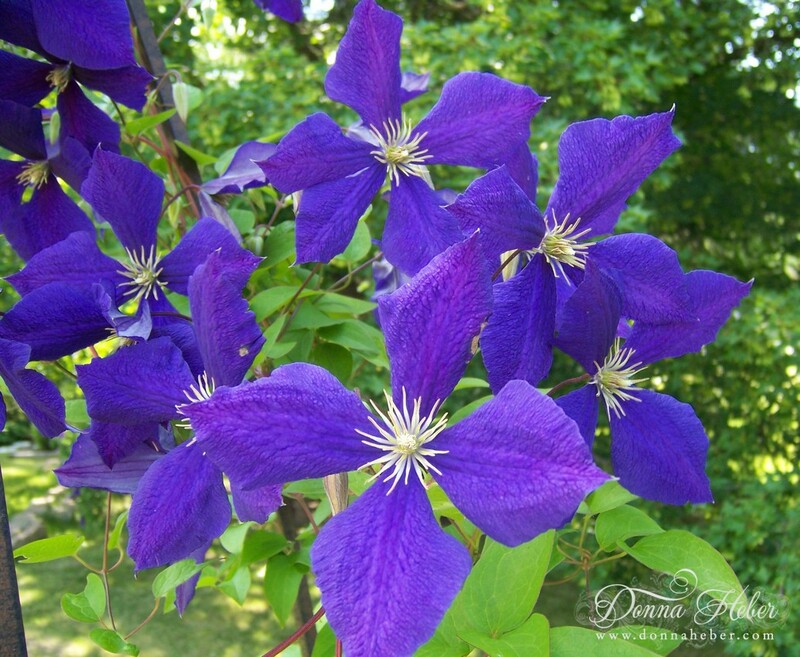 Gorgeous clematis, and really beautiful color! Beautiful Garden and lovely color!! Oh that is just beautiful! So striking and I love how you made it the focal feature of this garden spot! 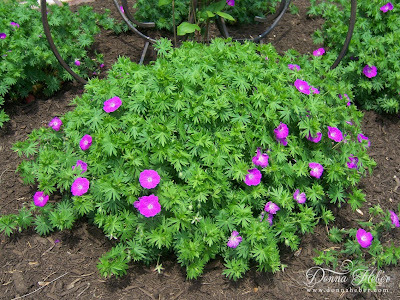 I love those hardy geraniums, they look like mine "Max Frei" good variety! Your purples are really beautiful! Love that deep purple colour. I walk away from your blog very slowly. Your flowers are so beautiful that I hate to leave. I will take the joy I feel right now and spread it around today. I like this garden. I'm a big fan of hardscaping so right away I find the border attractive and the plants have filled in nicely. Is it an obelisk that the clematis is climbing over? Great name for the garden too, themes are always fun.